World renowned aesthetic doctor, Dr Mike Comins is the guy behind many A list celebrity transformations and his clinic, Hans Place Practice is now widely respected as one of the best in London. Discreetly tucked away on a quiet Knightsbridge square, Hans Place is just a stone's throw away from Harrods and Belgravia. Typically attracting an international clientèle, the clinic offers a wide range of treatments for both men and women. Whether looking for a quick fix or a life long transformation, Dr Comins and his team can help. The clinic uses Epionce skincare and some of the facial treatments available include chemical peels and skin rejuvenation. Men can also benefit from the likes of chest sculpting and underarm botox to help with the day to day maintenance of looking and feeling good. Michaeljohn has been established as one of London's finest salons for decades, with it's flagship salon in the heart of London's Mayfair, a further two salons have since opened in Knightsbridge and Belgravia. As part of the continued growth in the future of the company and in bid to remain at the forefront of innovation, Michaeljohn has now introduced a bespoke facial in collaboration with Dr Costas Papegeorgiou. The hybrid facial is the latest treatment to take the beauty industry by storm, the ground breaking treatment is designed to rejuvenate the skin over five processes. Performed by the famed Hayley Carr, the procedure is non evasive and takes place in the luxurious setting of the Albemarle spa and salon. Resurfacing through hydradermabrasion prepares the skin to receive different light hybrid and radiofrequent waves which in harmony break deep down into the skin to produce collagen and encourage the growth of new cells. Gentlemen's Tonic has established itself as the go to destination for men's grooming, world renowned, the group have locations in London's Mayfair, Kings Cross, Hong Kong and Dubai. the flagship salon in Bruton Place is home to a traditional barbershop and also offers a variety of tailored grooming services for the discerning gent. As the name may suggest, Gentlemen's Tonic was one of London's first spas dedicated exclusively to the ever demanding needs of men and the word 'tonic' was incorporated into the title to symbolise the restorative side of the business. With it's impressive Mayfair location spanning over two floors, the company has always been at the forefront of the industry and has even produced an exclusive line of products (The Pre Shave Oil is a personal favourite of mine) available at it's salons. Constantly at the forefront of luxury skincare, Pevonia has established itself as one of the finest brands in the industry and now, they have collided with London's premier spa, The Peak to offer a selection of bespoke treatments. The most popular service is the renowned Prescriptive Facial, tailor made to each individual's needs the facial is designed achieve instantly visible results over a course of treatments. Pevonia's concept of using only natural ingredients in products makes the treatment unique and safe for all skin types and ages. Expert therapists undergo intense training to enable them to assess the skin both by lifestyle and psychically to use the right products and techniques during treatment. Set in 90 acres of idyllic countryside Hartwell House is the perfect country retreat. Situated in the picturesque Vale of Aylesbury in Buckinghamshire just 45 minutes from London this Grade 1 listed house is easily accessible from all parts of the country. Originally owned and managed by Historic House Hotels, in 2008 Hartwell House was donated to the National Trust. The house has remarkable history stretching back almost a thousand years and was once inhabited by the exiled King Louis XVIII. The hotel retains its Jacobean features which are apparent throughout this beautiful building. Hartwell House has thirty bedrooms and suites over three floors. Many of the rooms have four poster beds and all rooms in the house are decorated with fine Georgian interiors dating from around 1760. As one of the most iconic hotels in Europe, it's no surprise that Le Bristol needs no introduction. Having undergone a major refurbishment, this famed hotel now also boasts a whole new wing comprising of two new suites, a spa by La Prairie and a 3 Michelin Starred restaurant. Originally opened in 1925 the prestigious hotel later became part of the Oetker family in 1978, where it now sits proudly as one of the Oetker Collection's flagship hotels (along with the recently acquired Lanesborough soon to reopen in London). 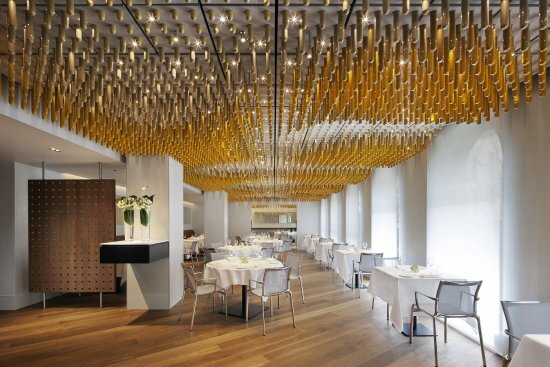 Since it's opening, Le Bristol has become established as one of the most luxurious hotels in Paris picking up several accolades along the way, for example in 2011 where it became the first Palace Hotel in France. The Refinery has established itself as one of the finest grooming destinations in London, offering barbering and beauty treatments tailored for men. Now with two locations in Mayfair and Harrods, both are designed with the relaxed atmosphere of a Gentleman's club in mind. For a head to toe regenerating experience, head over and ask for the Refinery's Signature Treatment, a 90 minute treatment incorporating a back scrub, facial and light massage all in one leaving the modern gentleman feeling refreshed and revived. For over 15 years, the salon and spa has also been renowned for it's barbering services, highly skilled stylists create sleek and cutting edge styles ensuring their clients look professional and preened at all times. With both locations being so convenient, The Refinery is the perfect pit stop for a lunch break or for a spot of pampering before a night out. With the festive season well and truly over, it's the perfect time to take a short weekend break for some much needed down time, I'd suggest making a retreat to Buckinghamshire. Just 30 minutes outside of London, this fabulous area offers charm and the English countryside at it's best without having to travel far. For a stylish escape, book into Stoke Place, a gorgeous hotel in the heart of Buckinghamshire and just miles away from Windsor and the nearby attractions. The hotel stands around 26 acres of gorgeous parkland and boasts an impressive 39 bedrooms. Often a choice for weddings, this hotel oozes romance and upon arrival it gives the impression of stepping into a fairytale scene, everything from the immaculately pedicured lawns to the large state house itself make Stoke Place feel like home away from home. The Chelsea Day Spa is a one-stop destination for routine grooming and relaxation on the go. Situated in the heart of Chelsea on the Kings Road, the spa is frequented by local celebrities and international travellers alike. 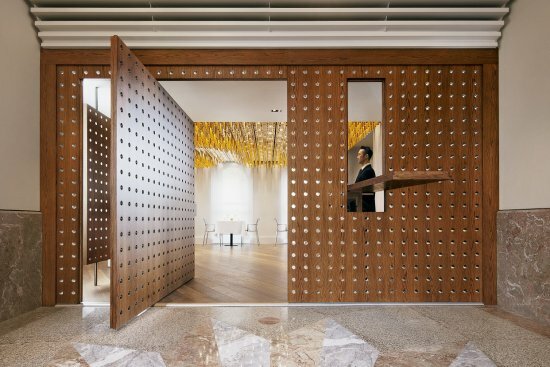 Entry is through a discreet door which leads into the luxurious spa, taking inspiration from a boutique hotel, the spa has rich cream walls and opulent furnishings throughout. A variety of treatments are on offer that range from day to day grooming and maintenance to more prescriptive packages and indulgent therapies. Expert therapists are on hand and the spa is renowned for making tailor-made experiences to suit each client and occasion. Signature treatments include a collagen boosting HydroPeptide Facial favoured for it’s immediate results and the New York Manicure leaving nails preened and polished in no time. The spa uses Darphin and Jessica products and also has a dedicated retail space allowing clients to purchase the products used during treatment. 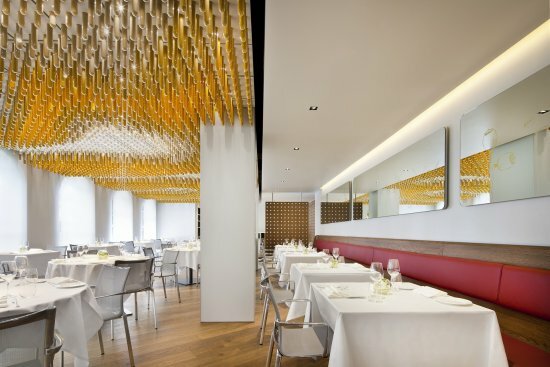 Ametsa at The Halkin Hotel offers world class Basque Cuisine right in the heart of London's Belgravia. 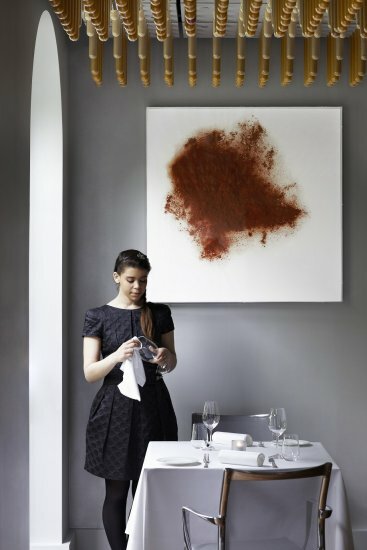 Recently awarded a Michelin Star, the restaurant is the brainchild of the award winning Elena Arzak and is based on the original Arzak in San Sebastian.